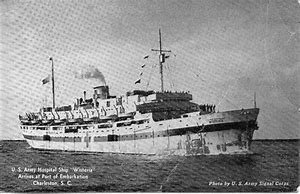 Laid down, 6 February 1943, as SS William Osler, a type EC2-S-C1 "Liberty Ship", under Maritime Commission Contract (MCE-954) at Bethlehem-Fairfield, Baltimore MD. Operated under a General Agency Agreement for the War Shipping Administration by States Marine Corp. Returned to the Maritime Commission for lay up, 24 June 1947, in the National Defense Reserve Fleet, Columbia River Group Astoria, OR. 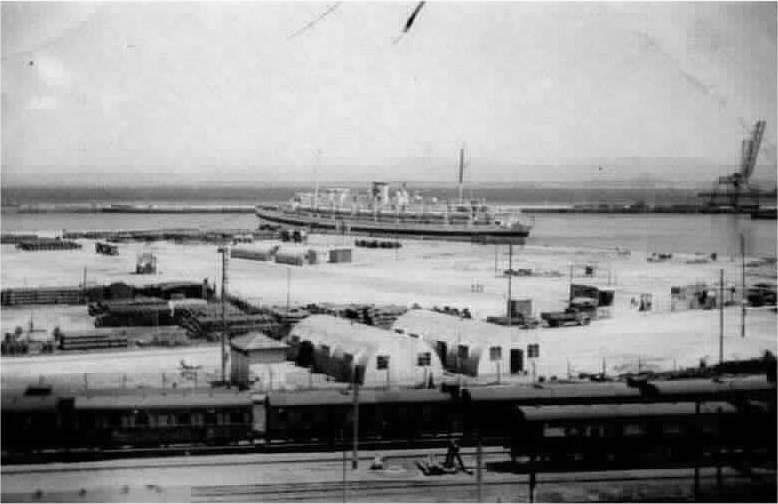 19k USAHS Wisteria arriving at Port of Embarkation, Charleston, S.C., date unknown. 66k USAHS Wisteria in port Gibraltar, circa 1944-45. 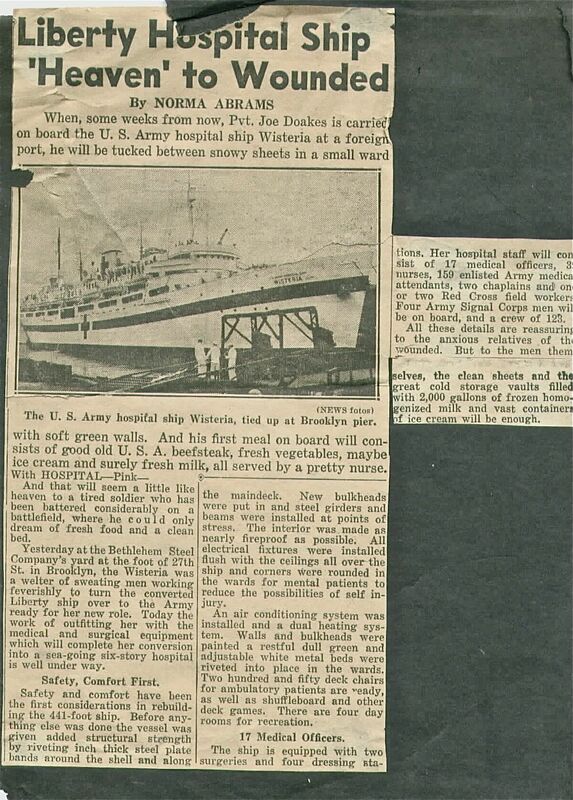 326k USAHS Wisteria newspaper article.